Such a Romaine. Why did Seminis let this go? We’ll ask our agents, but meanwhile, we’ll thank New York farmer Sandy Arnold for passing us the remnants of her packet to get this under way again. A real standout in our lettuce disease trials, resisting tipburn, downy mildew, and Sclerotinia better than any other green romaines. 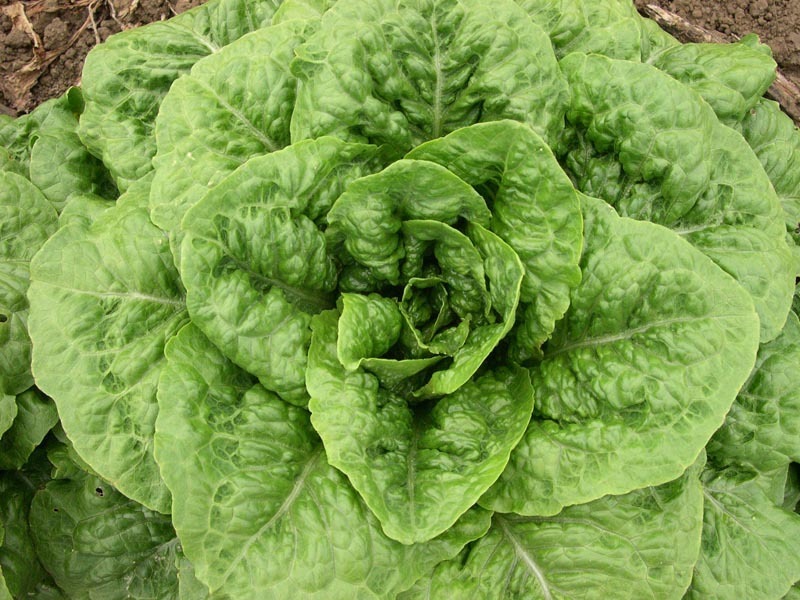 Everyone that went through the lettuce last year, including Joelene, came out asking, “What’s that romaine?” Darkest green. Flat topped. Dense. A box filler.